Happy Valentine’s Day! We celebrated this morning at OFS with pink, chocolate chip pancakes, courtesy of Kaly. And now I have a typical Friday night in ahead of me — a pre-dinner dance party with my sons, a top-notch meal cooked by my amazing man of twelve years, a little red wine and watching a family movie with a fire crackling in the fireplace. Well, maybe we’ll add a little chocolate to the mix. You know, since everyone’s doing it. No, it’s not the most romantic of Valentine’s Days but it’s definitely my idea of a perfect night. And I can draw romance from other things, anyway. Like these lovely textiles for instance. What styles of fabric say romance to you? Beautiful fabrics, I love your company, and yes, I have purchased from you before. Thanks Andrea 🙂 Have a wonderful weekend! I love the Waverly Candlewicking Classic Natural fabric. It reminds me of the classic white work. bench cushions and chair cushions in my kitchen. I used a complementary plaid fabric for the welting. Absolutely love the pieces and have received many compliments. Just found your site from Instagram. I love the floral fabric with the red flowers in the top picture of your post. Could you tell me what it is? 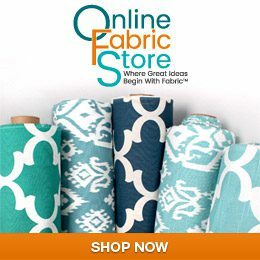 Welcome Sandra 🙂 That fabric you’re referring to is HGTV’s Color Study Berry Fabric http://www.onlinefabricstore.net/hgtv-color-study-berry-fabric-.htm Let me know if you have any other questions!